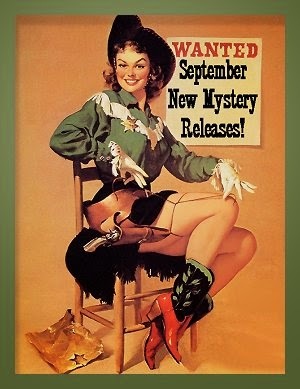 September 2014 New Mystery Releases! I'm not ready for summer to be over yet, so I'm glad the heat lingers here in Phoenix. (Perfectly suited to this climate, aren't I?) I've been out in the pool all summer with a succession of tall, cold drinks and books so good that they make me lose track of time. If Denis and I ever win the lottery and get this pool heated, my toes would undoubtedly be permanently webbed! As usual I've been keeping track of crime fiction that will be released throughout the month of September. 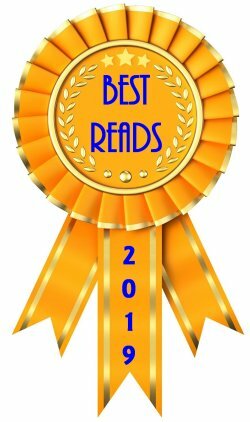 I'm sharing my list of my top dozen picks along with all the information you'll need to find them at your favorite book procurement locations. Book synopses are courtesy of Amazon. Happy Reading! Synopsis: "Inventor Thomas Alva Edison is also a ruthless businessman, intent on furthering his patents and General Electric and beating rivals like Nikola Tesla and Westinghouse. Edison has agents in place in Seattle but he’s come himself in pursuit of a mysterious invention lost in 1901 in Elliott Bay. When Edison asks for information, few refuse. But not University of Washington Professor Benjamin Bradshaw who’s earned a reputation as a private investigator where science—electricity—is concerned. Bradshaw hopes that the lost device, one conceived in anger by an anarchist and harnessed for murder, will elude Edison’s hired divers. _x000D_ Soon, one December morning, 1903, the Bon Marché’s Department Store electrician is found dead in the Men’s Wear Window clutching a festoon of Edison’s new holiday lights. 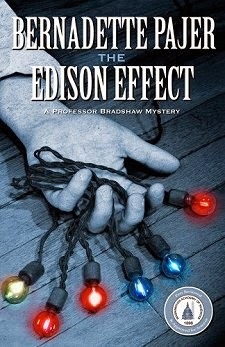 Bradshaw believes Edison had set a dangerous game in motion. Motives multiply as the dead man’s secrets surface alongside rivalries at the Bon Marché. 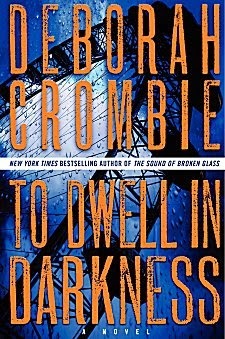 Bradshaw, his sleuthing partner Henry Pratt, and the Seattle PD’s Detective O’Brien pursue leads, but none spark Bradshaw’s intuition. His heart is not in the investigation but in a courtship that will force him to defy his Catholic faith or lose his beloved, Missouri. Then a crossroads in the case forces him to face his personal fears and his first professional failure. Whatever the outcomes, his life is about to change…." Synopsis: "Between spending Valentine’s Day with her sweetheart, Sam, and shopping upcoming Presidents’ Day sales with the Good Buy Girls, everything is coming up roses and bargains for Maggie Gerber. But when the mother of Maggie’s nemesis comes to town, things stop looking so rosy. Summer’s mom is hoping to set her spoiled daughter up with Sam, and she’ll do whatever it takes to make the match happen. When Maggie heads to her romantic rival’s house to put a stop to the scheming, she discovers Summer standing over a dead body—holding a weapon. As much as Maggie would love to see Summer get her just desserts, she can’t shake the feeling that the meddling menace is, in fact, innocent. 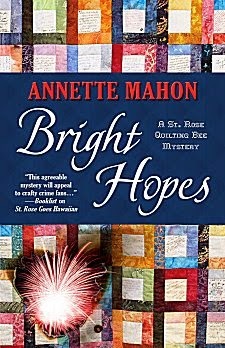 Now Maggie and the Good Buy Girls will have to sort through racks of suspects to find a killer—or Summer will wind up getting a truly raw deal…"
Synopsis: "A mysterious penitent confesses to murder, and then flees the confessional before Father John can identify him. Two months later, Vicky discovers rancher Dennis Carey shot dead in his truck along Blue Sky Highway. 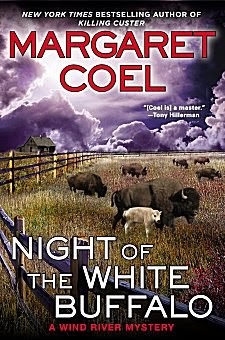 With the tragic news comes the exposure of an astonishing secret: the most sacred creature in Native American mythology, a white buffalo calf, was recently born on Carey’s ranch. Making national headlines, the miraculous animal draws a flood of pilgrims to the reservation, frustrating an already difficult investigation. As visitors throw the reservation into turmoil, Vicky and Father John try to unravel the strange events surrounding both Carey’s murder and the recent disappearances of three cowboys from his ranch. It could be coincidence, given the nomadic life of the cowboy trade, but when one of them fails to appear in court to testify on an assault charge, Vicky wonders if Arnie Walkfast and his Arapaho buddies are guilty of more than just assault. And at the back of Father John’s mind is the voice from the man in the confessional: I killed a man…"
It seems Muriel has designs on Vera’s money and property—not to mention a particular interest in her collection of Nero Wolfe first editions. 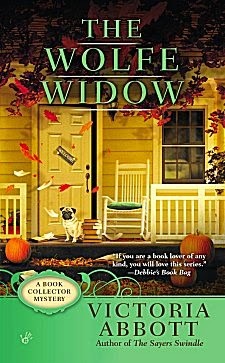 When Jordan discovers a deadly connection between Muriel and the Van Alst family, it’s up to her to put the house in order and stop a killer from going back to press." 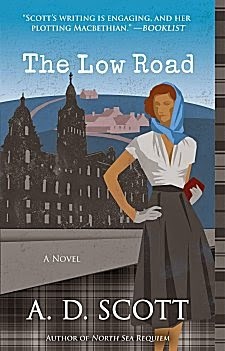 Synopsis: "The fifth gripping and beautifully written entry in A. D. Scott’s mystery series finds star journalist John McAllister caught up in the razor-gang warfare of 1950s Glasgow. 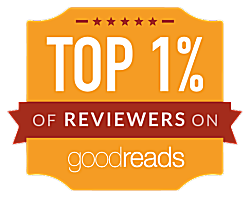 A. D. Scott’s extraordinary mystery novels have been called “beautifully written and atmospheric” (New York Times bestselling author Rhys Bowen), “a visit with an old friend in front of a fireplace” (Suspense Magazine), and “must-reads” (Booklist). John McAllister has come to a crossroads, torn between the stability of his life in the Highlands and the thrill of working as a renowned journalist in Glasgow at a national daily newspaper. Can he accept that this exciting new phase is over? That it is time to settle down? Before he knows it, McAllister is in the midst of a fast-paced hunt for his good friend Jimmy McPhee, who is involved in a blood feud with a murderous razor gang. With a fiercely ambitious young crime reporter, he tracks down Jimmy, but the gang finds them. Only when another violent clash breaks out do they have the chance to escape. Soon McAllister finds himself in danger of losing everything he holds dear—his mother, his fiancée, his friends, his integrity, and his life. And Joanne Ross, recovering from horrific injuries, senses McAllister’s ambivalence about their forthcoming marriage, and she knows she can only wait for him to return to her. From the wilderness of the Highlands to the desolation of Glasgow’s slums, book five in Scott’s mystery series is a portrait of extremes: between city and glen; between the rule of law and the laws of the streets; between safe, enduring love and unreasoning passion." 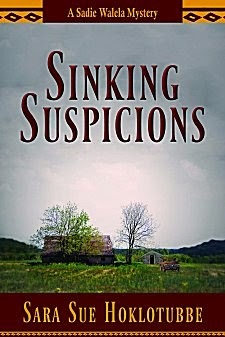 Synopsis: "Suspicions run high when murder mixes with identity theft in the latest installment of the popular Sadie Walela mystery series set in Cherokee Country. 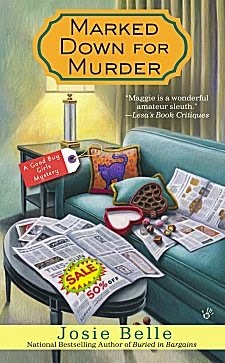 No sooner does Sadie embark on an unexpected business trip to the beautiful island of Maui, when her long-time neighbor, Buck Skinner, a full-blood Cherokee and World War II veteran, goes missing and becomes the prime suspect in the murder of a petty identity thief. Iconic lawman Lance Smith joins a community-wide search, but Buck is nowhere to be found. As evidence mounts against her old friend, Sadie rushes to return home to help—only to be delayed by an island-wide earthquake and her own sinking suspicions. A diverse cast of characters weave together a breathless story of murder, thievery, and the toll of war on the human spirit. 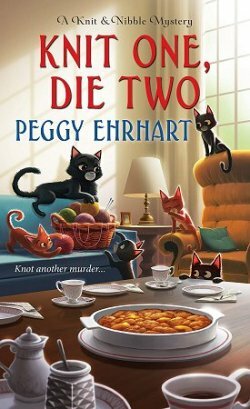 In her effort to restore balance to her neighbor’s life, Sadie not only uncovers the truth, but unravels much more than a murder." Synopsis: "Thirty years ago, the British Miners’ Strike threatened to tear england apart, turning neighbor against neighbor, husband against wife, father against son—enmities which still smolder. Charlie Resnick, recently promoted to Detective Inspector and ambivalent, at best, about some of the police tactics used in the Strike, had run an surveillance-gathering unit at the heart of the dispute. Now, in virtual retirement, the discovery of the body of a young woman who disappeared during the Strike brings Resnick back to the front line to assist in the investigation into the woman’s murder—forcing him to confront his past—in what will assuredly be his last case . 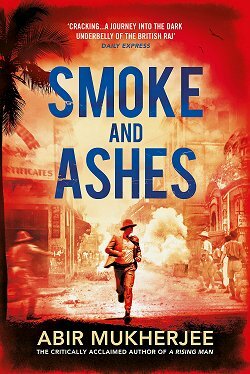 . . as well as John’s Harvey’s final Charlie Resnick novel." Synopsis: "Simmy is busy at her flower shop in the run up to Valentine’s Day. She has a number of anonymous messages and flowers to deliver around the Lake District, but finds these messages are not welcome upon delivery. One recipient, Mr. Hayter, has been reported missing and the other, Tim Braithwaite, is reported dead. Meanwhile, Simmy’s friend Kathy has come to stay. She has been worried about her daughter, Joanne, who has fallen in love with her university tutor. 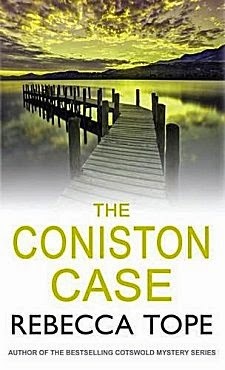 Kathy confronts Baz and finds he hides a sinister side, which leads to trouble." Synopsis: "At a Bath auction house, a large slab of carved stone is up for sale. At the height of what turns into very competitive bidding, there is a hold-up attempt by three masked robbers. They shoot and kill the highest bidder, a professor who has recognized the female figure carved in the stone as Chaucer’s Wife of Bath. The masked would-be thieves flee, leaving the stone behind. 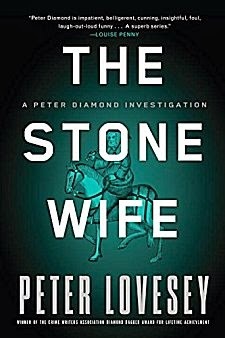 Peter Diamond and his team are assigned to investigate, and the stone is moved into Diamond’s office so he can research its origins. The carving causes such difficulties that he starts to think it has jinxed him. Meanwhile, as Diamond’s leads take him to Chaucer’s house in Somerset, his intrepid colleague Ingeborg goes undercover to try to track down the source of the handgun used in the murder." Synopsis: "Vaudeville actress Leah Randall took on her most daring role ever when she impersonated missing heiress Jessie Carr in order to claim Jessie’s inheritance in The Impersonator. Now that the dust has settled around that tumultuous time in her life, Leah has adopted Jessie’s name as her own and moved to Hollywood, where she's taken a modest but steady job in the silent film industry. Jessie’s thrilled when Bruno Heilmann, a movie studio bigwig, invites her to a party. She’s even more delighted to run into a face from her past at that party. But the following day, Jessie learns that sometime in the wee hours of the morning both her old friend and Bruno Heilmann were brutally murdered. She’s devastated, but with her skill as an actress, access to the wardrobes and resources of a film studio, and a face not yet famous enough to be recognized, Jessie is uniquely positioned to dig into the circumstances surrounding these deaths. But will doing so put her own life directly in the path of a murderer?" Synopsis: "Recently transferred to the London borough of Camden from Scotland Yard headquarters, Superintendent Duncan Kincaid and his new murder investigation team are called to a deadly bombing at historic St. Pancras Station. By fortunate coincidence, Melody Talbot, Gemma's trusted colleague, witnesses the explosion. The victim was taking part in an organized protest, yet the other group members swear the young man only meant to set off a smoke bomb. 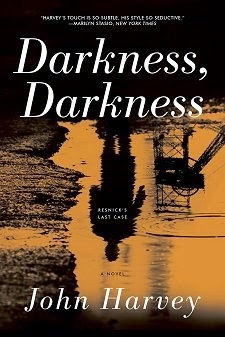 As Kincaid begins to gather the facts, he finds every piece of the puzzle yields an unexpected pattern, including the disappearance of a mysterious bystander. The bombing isn't the only mystery troubling Kincaid. He's still questioning the reasons behind his transfer, and when his former boss—who's been avoiding him—is attacked, those suspicions deepen. With the help of his former sergeant, Doug Cullen, Melody Talbot, and Gemma, Kincaid begins to untangle the truth. But what he discovers will leave him questioning his belief in the job that has shaped his life and his values—and remind him just how vulnerable his precious family is." Synopsis: "Loud explosions are ruining sleep for hundreds of Scottsdale residents in the hot July nights, including members of the St. Rose Quilting Bee. Things become serious when Maggie's police officer son is injured by one of the blasts. Then a church member dies when an explosion topples a roof onto the lounge chair where he lies sleeping. The women think bored teenagers may be playing with fireworks, but Edie is thinking terrorists. The others scoff, until a bomb at a power substation throws the entire neighborhood into darkness. Suddenly terrorism is a real possibility." For me, this is a really good mix of favorite authors and intriguing new ones. I can't wait to dig in-- and I hope I've managed to list a title or two that made it to your own Gotta Get lists! Oh, this looks like a good month for new publications. I have only tried two of the series on your list. One of those I have on pre-order. There are quite a few I would like to read and be introduced to. My TBR list is so long now but this is a good thing. I do have Bernadette Pajer's first book on my Kindle to read. The A.D.Scott book looks intriguing. Thanks for the list. You're very welcome, Lynn. I'm trying to devise a strategy for email, pool, blog posts, Poisoned Pen author event, and a few more goodies for the rest of the day. Something's going to have to give, but I'm not sure what! 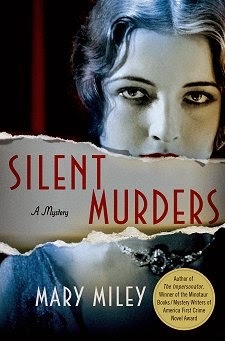 Out of all of them, I like the looks of Silent Murders. LOVE the cover. ENJOY your Phoenix weather and your pool. We are having a humid 90-degree day here. I found a copy of the first book in Miley's series, and I think I'm going to get it. Just too tempting! It appears some fun reads coming based on your previews. We got some heat, too, with a lot of humidity. Louisiana in the summer isn't for sissies. ;-)) Actually not bad so far this year--no days over 100. Now folks in La just waiting on football season--LSU and Saints. we had a day recently when it didn't make it to 90°, and I almost passed out from the shock. Below 100° is almost unheard of! But between the stacks here, the library, generous friends and bloggers, I'm literally over my head and the books have taken over. I wish I could read as quickly as you do and had a pool in which to stand, sit, whatever, even lie on a raft. Or a big tree to sit under. But my choices are: my home, my stoop, currently not available, or a coffee shop or its bench. I get more done outside actually, as the computer isn't calling to me nor are tasks. Happy reading for the rest of the summer. That's one reason why I'm able to read as much as I do-- I put a clear separation between me and any distractions like my computer. When I'm no longer able to sit in the pool, I'll be back in the house where things call to me-- even if I don't want to hear them!